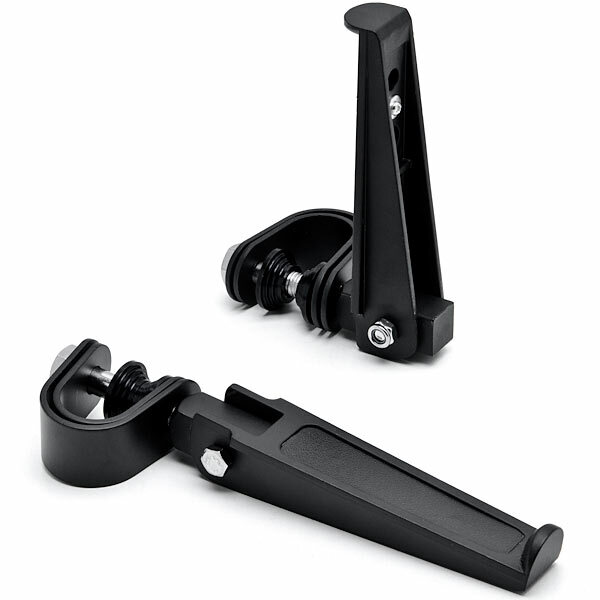 These Motorcycle Highway Foot Pegs mounts to the engine guard for a more comfortable riding position. Easy installation on any Harley Davidson or Metric Motorcycle with 1" to 1-1/4" front engine guards. These Highway pegs feature a Fold-up design and can be installed on any round tubing (frames or engine guards).